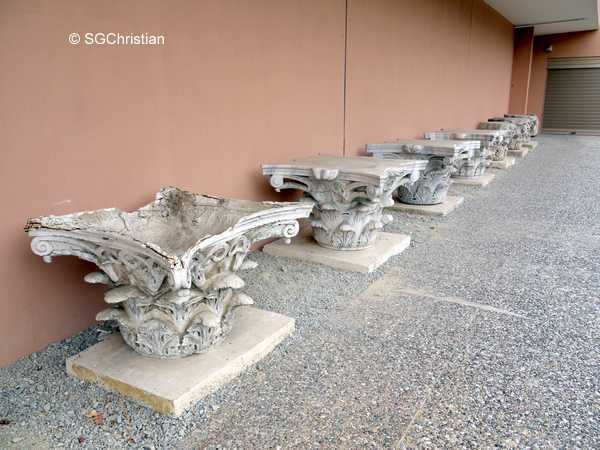 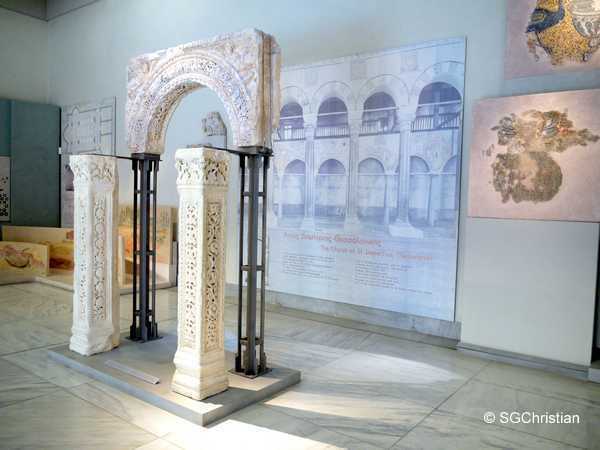 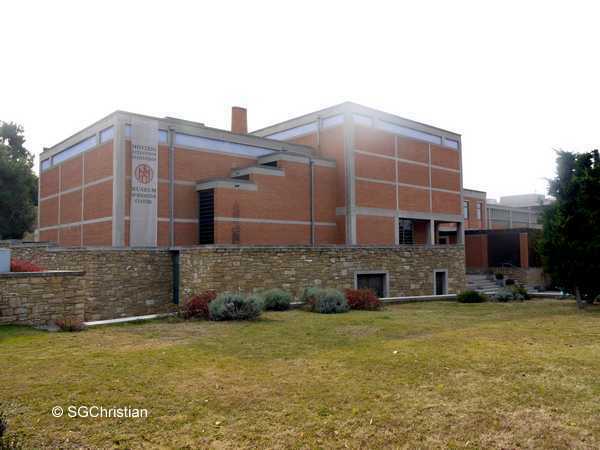 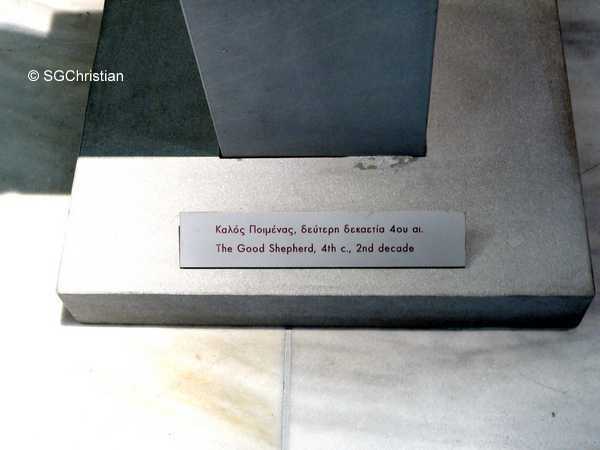 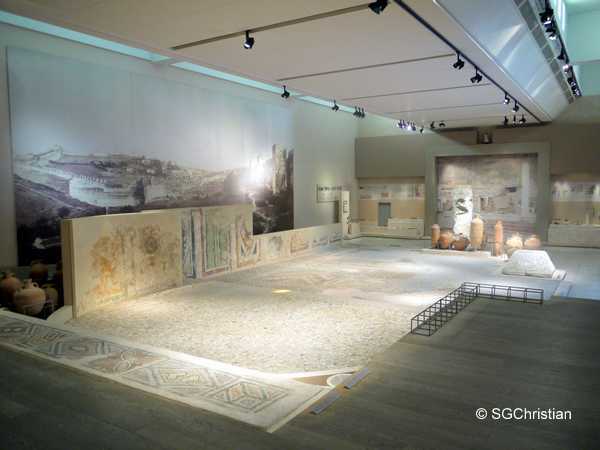 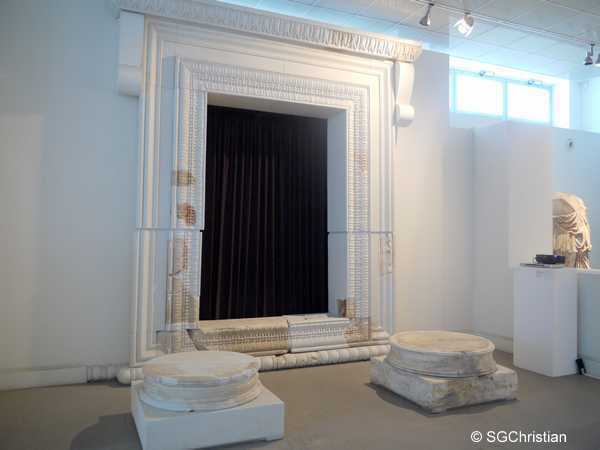 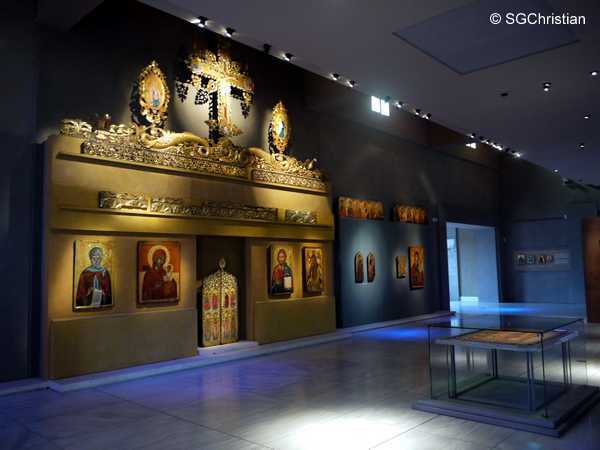 On a trip to Thessaloniki in November 2011, I visited the Museum of Byzantine Culture, and it is a place that I would recommend for those of you who would like a deeper understanding of early church history in Thessaloniki. 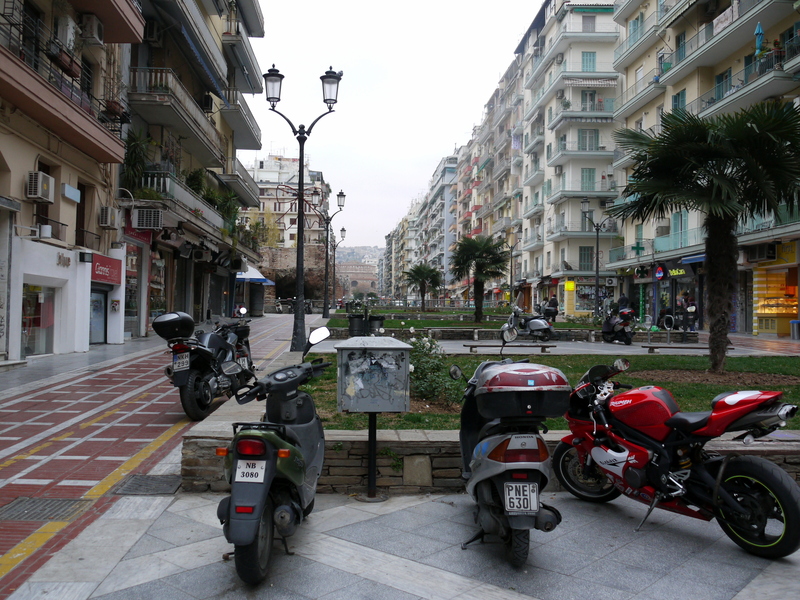 Meanwhile, here are a couple of random things that caught my attention. 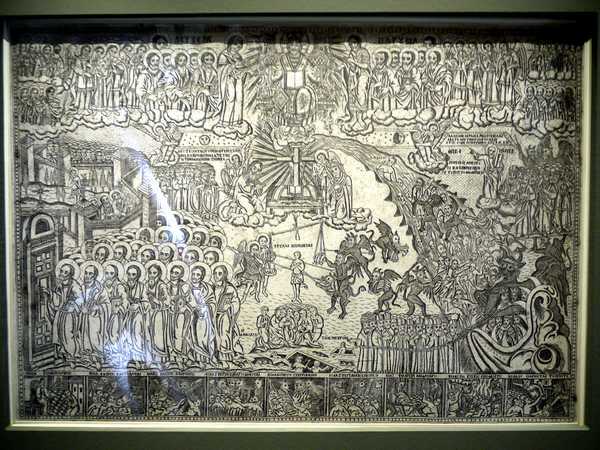 Finally, here is mid 19th century engraving of the Last Judgment. 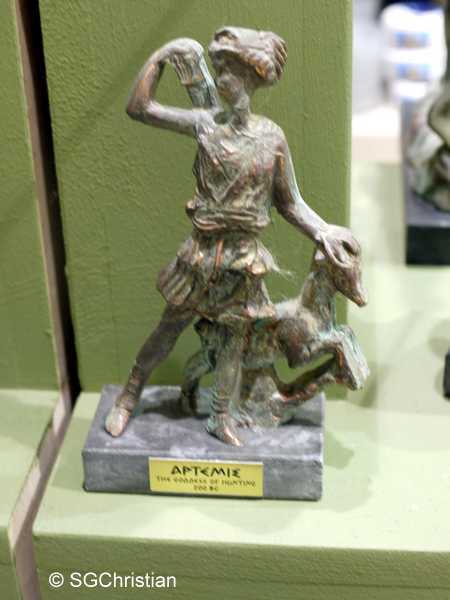 In the engraving, you see magicians represented among the sinners of hell. 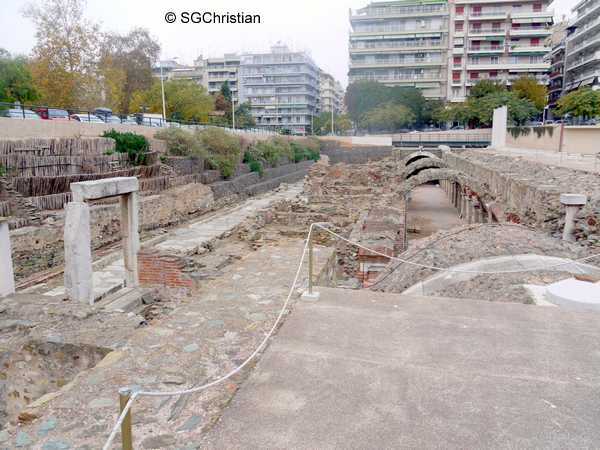 In the above passage in 1 Thessalonians, it tells us that the Thessalonian believers had “turned to God from idols“. 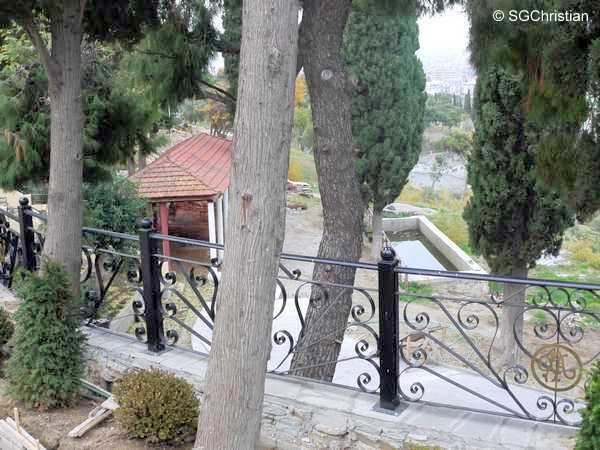 Which idols had they turned away from? 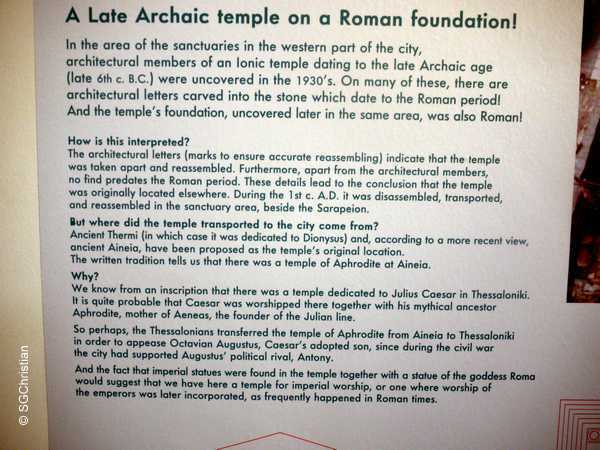 … and the accompanying poster suggests that Caesar was probably worshipped in Thessaloniki, together with his mythical ancestor, Aphrodite. 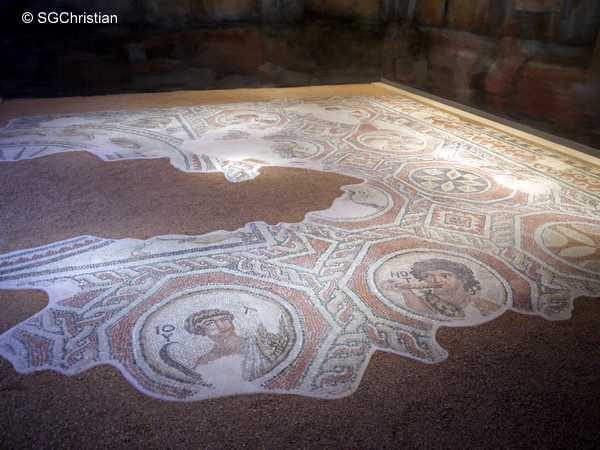 In addition, the Thessalonian believers may have been involved in the worship of Dionysius. 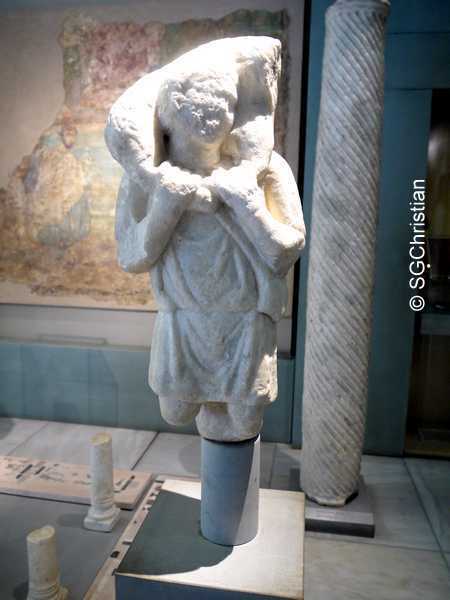 The photograph below shows a statue of Dionysius, which was exhibited at the ‘The Gifts of Dionysius’ exhibition area of the Archaeological Museum of Thessaloniki in November 2011. 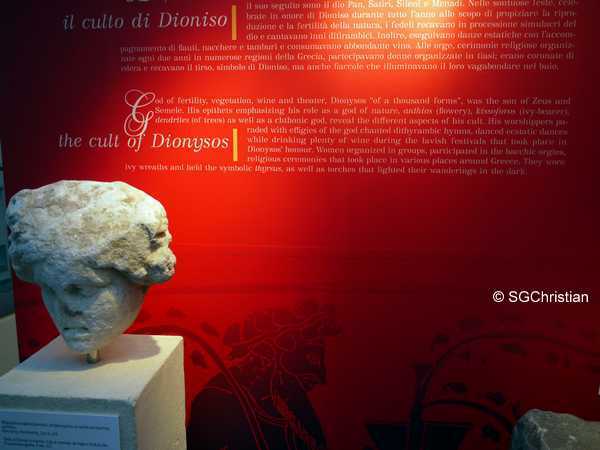 I learnt from the poster below (behind the head sculpture of Dionysus) at the Archaeological Museum of Thessaloniki that the worship of Dionysus was linked with sexual orgies. 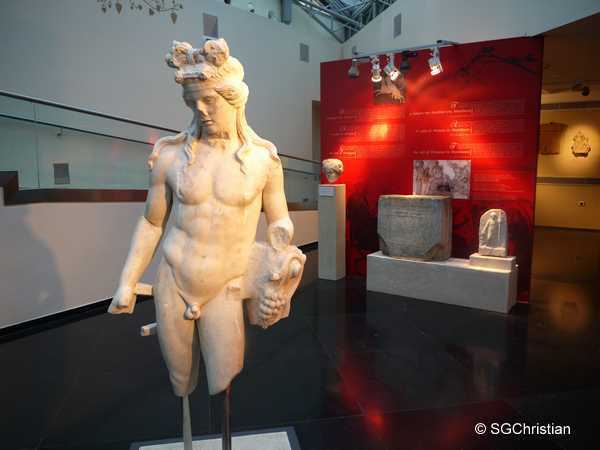 Dionysus, the Thirteenth God of the Greeks, was the divine son of Zeus and of the mortal Semele. 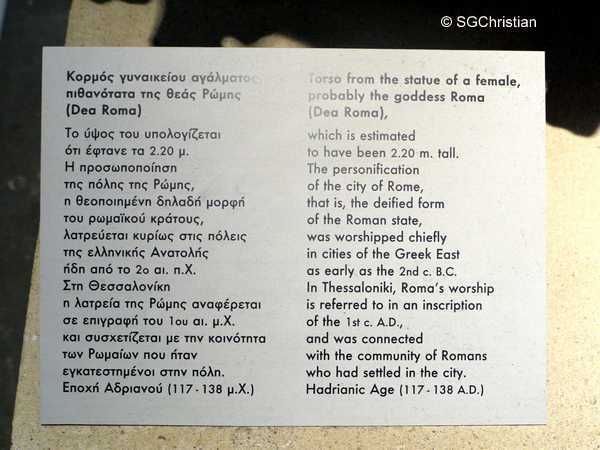 He was often depicted as the inventor of wine, abandon, and revelry, but this description seems inadequate in that it refers only to the basic elements of intoxication and enthusiasm which were used by the Bacchae (female participants of the Dionystic mysteries; also known as Maenads and Bacchantes) in their rituals to incarnate Dionysus. 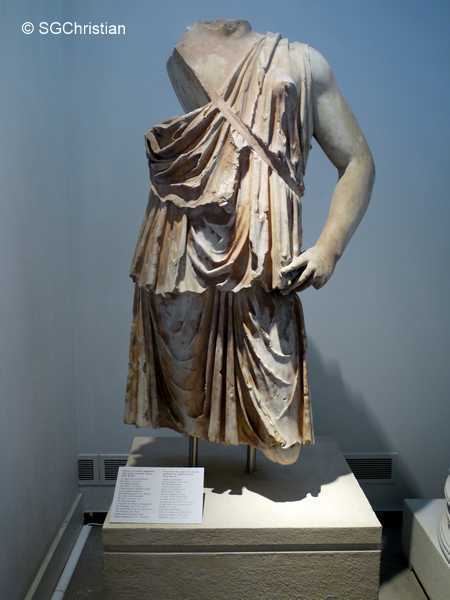 Followers of Dionysus believed he was the presence otherwise defined as the craving within man that longs to “let itself go” and to “give itself over” to baser earthly desires. 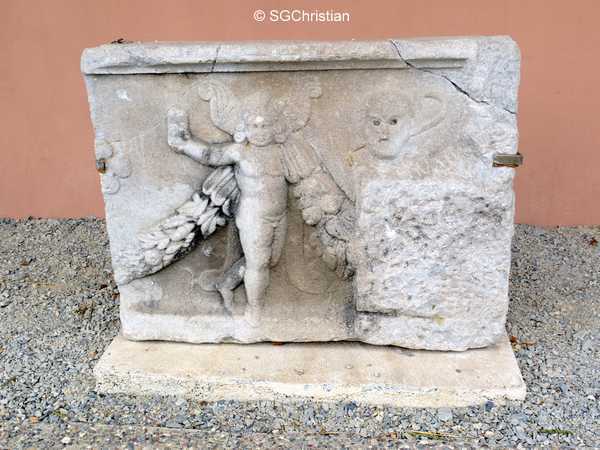 What some might resist as the lustful wants of the carnal man, followers of Dionysus embraced as the incarnation of power that would, in the next life, liberate the souls of men from the constraints of the present world and from the customs which sought to define respectability through obedience to moral law. 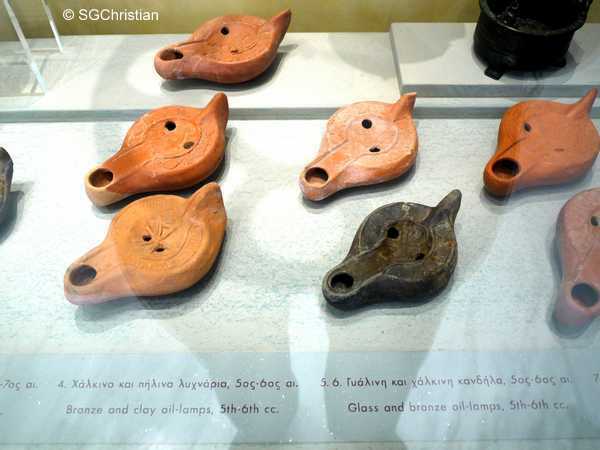 Until that day arrived, worshippers of Dionysus attempted to bring themselves into union with the god through a ritual casting off of the bonds of sexual denial and primal constraint by inviting him through to them via a state of ecstasy. 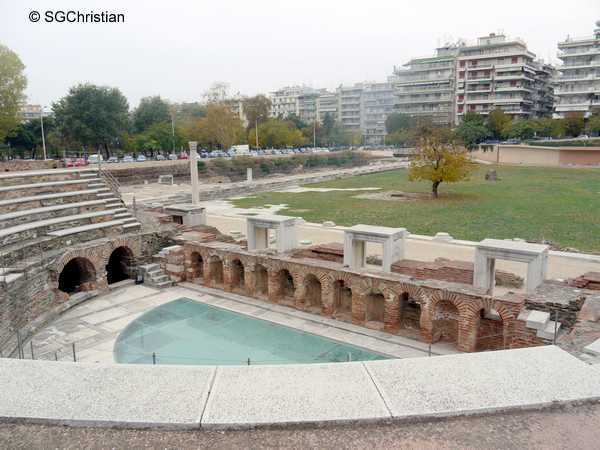 In a previous post, I reported that while in Thessaloniki, the Apostle Paul desired to preach at the Roman Forum (Roman Agora) but was denied permission because of the strong pagan influence around the area. 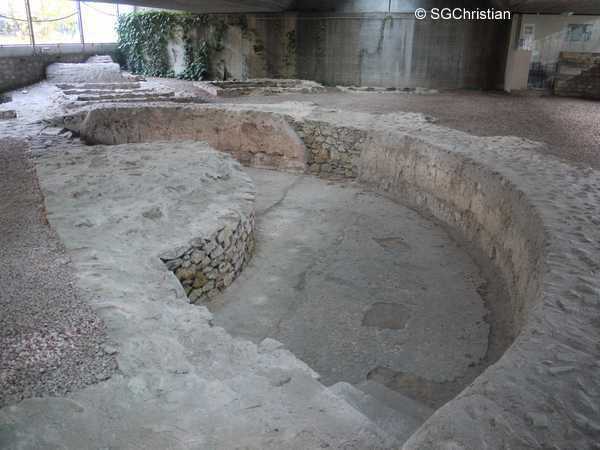 If Paul could not preach at the Roman Forum, then where did he eventually preach at? 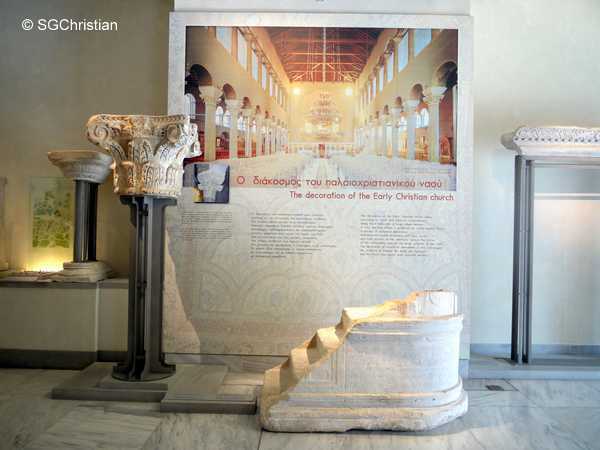 Well, on a trip to Thessaloniki in November 2011, I visited the Archaeological Museum of Thessaloniki, where at the ‘The Jews at Thessaloniki’ exhibition, I came across a poster which indicated that the Apostle Paul had preached at the city’s synagogue in 50 AD. 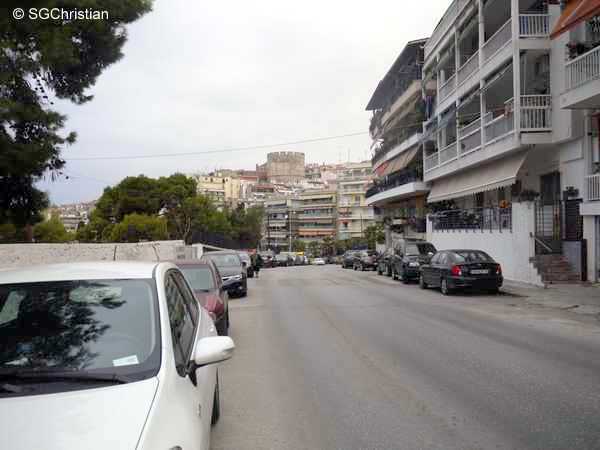 Tradition has it that the Apostle Paul had preached in the area of Agios Pavlos (Greek: Άγιος Παύλος; which means ‘St Paul’), an uphill suburb. 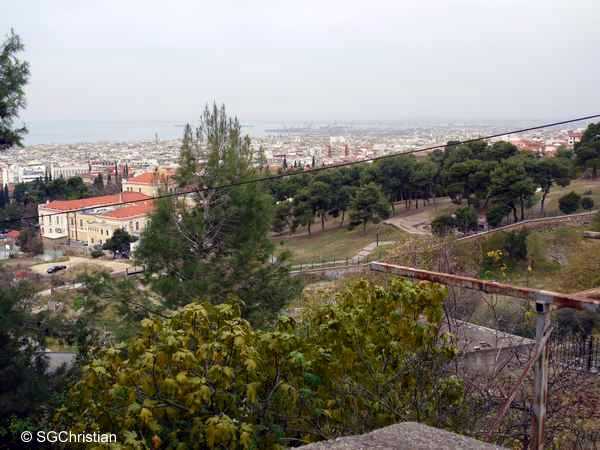 One day, while preaching in the area, Paul was purportedly chased by the Jews, and while taking refuge at a slope of the hill, drank water from a spring. 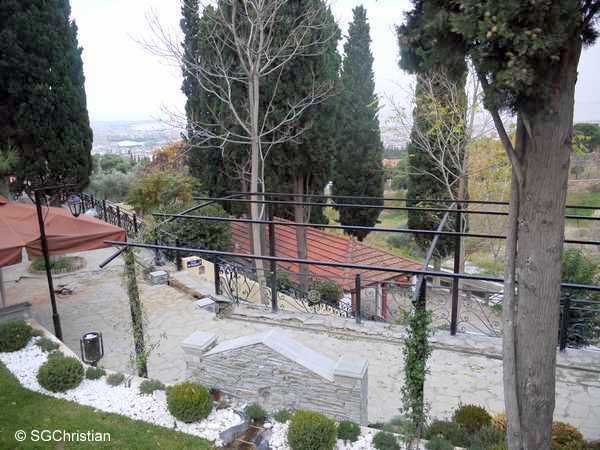 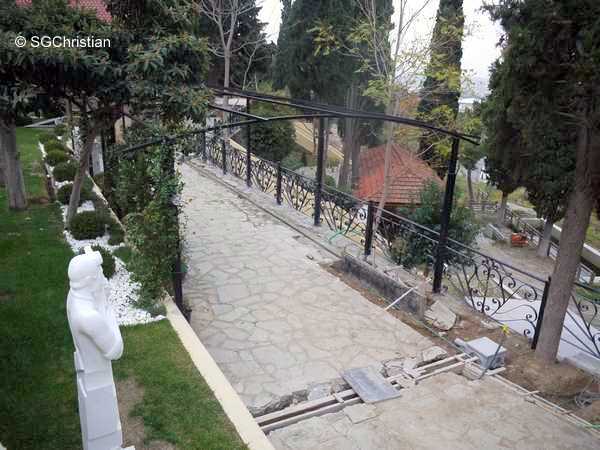 The spring is located in the Old Agios Pavlos Church and the water of the spring is considered by Christians living in this area as agiasma (holy water). 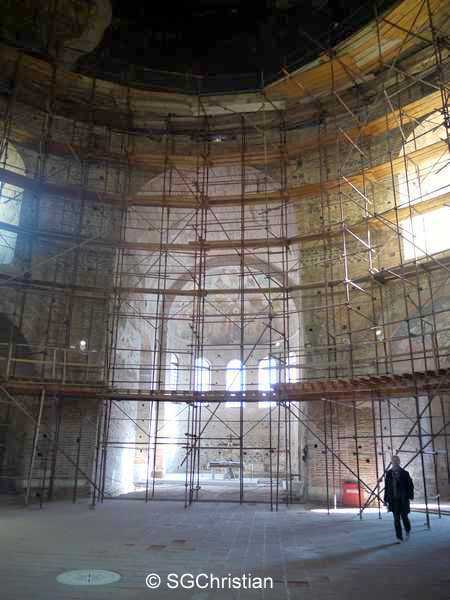 The church was undergoing renovation when I visited it, and I was prevented by the workers from entering the premises. 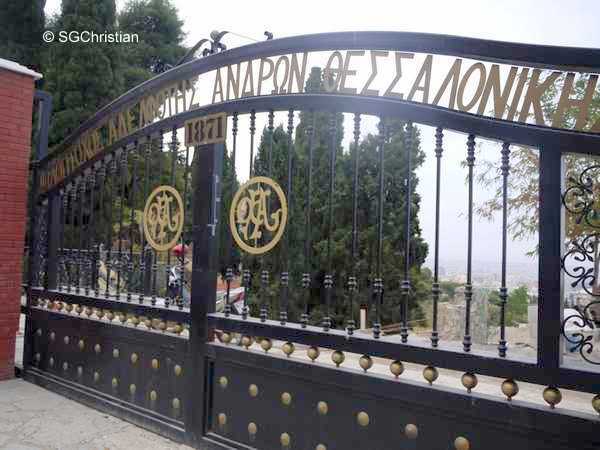 Nevertheless, I was able to take photos from outside the gates. 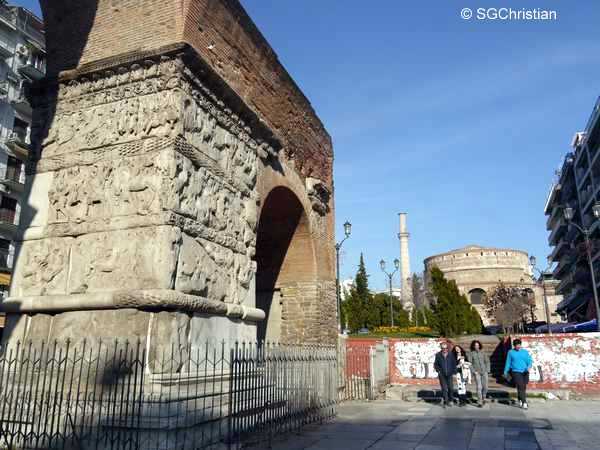 Here, you can see a statue of the Apostle Paul on the left. 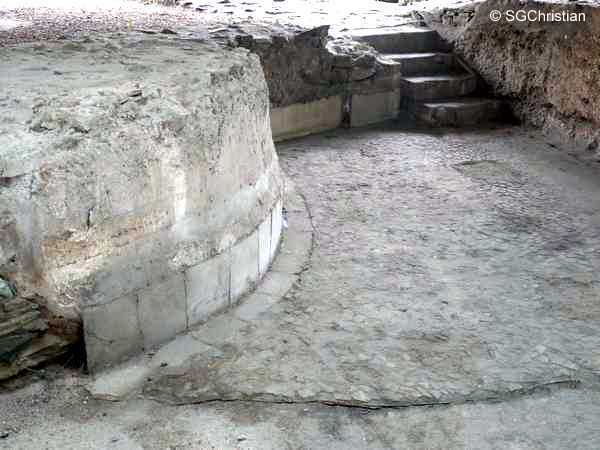 The spring is located in the open-air shelter, next to the rectangular pool of water. 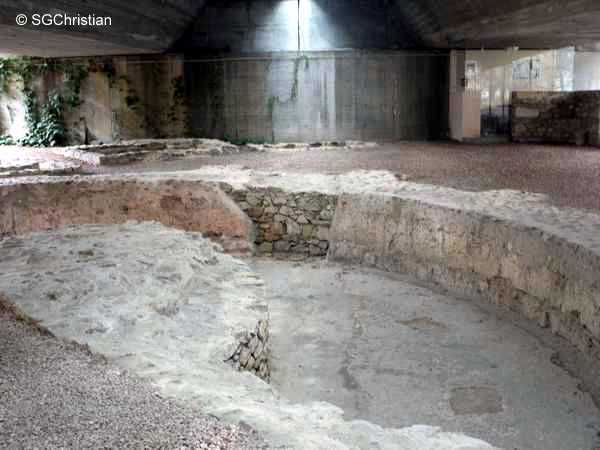 The church is on a hill, so, as you can imagine, the source of underground water that supplies the spring, also flows downwards to fill the pool. 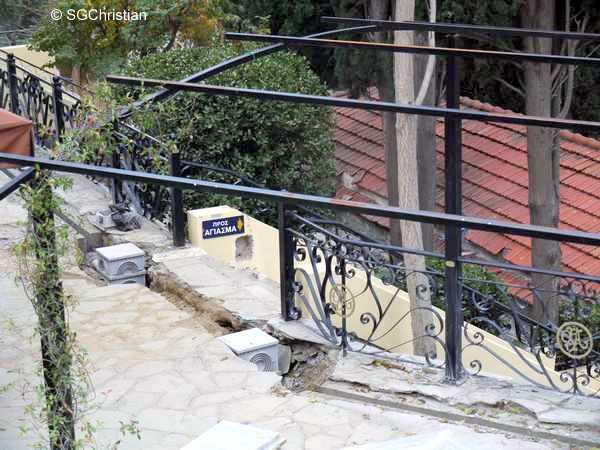 This photo shows the steps leading to the open-air shelter (which houses the spring where the Apostle Paul is believed to have drunk from). 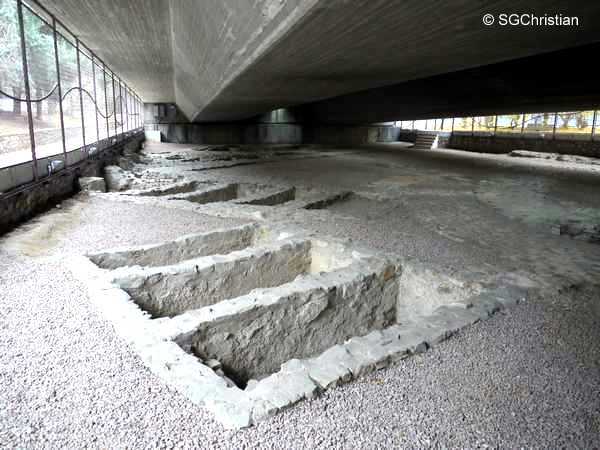 The steps has a sign that reads agiasma (holy water). 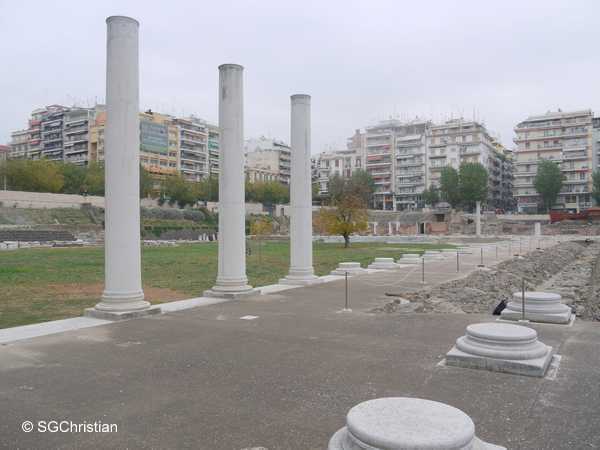 On a trip to Thessaloniki in November 2011, I visited the Roman Forum (Roman Agora) where the Apostle Paul is believed to have visited and attempted to preach at (Note the background of the first few photographs: this place is now in the middle of a housing estate). 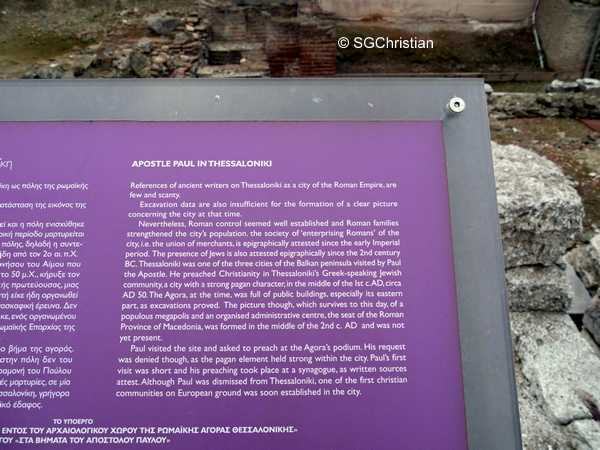 The signboard here reports the church tradition that Paul had visited the site and asked to preach at the Agora’s podium, but his request was denied as the pagan element held strong within Thessalonicca. 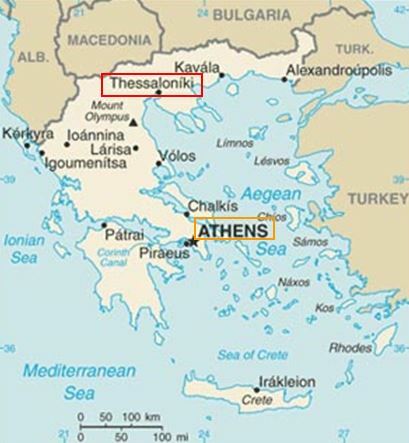 The fact that the Thessalonica is mentioned on numerous occasions within the New Testament reflects its importance to the early church. 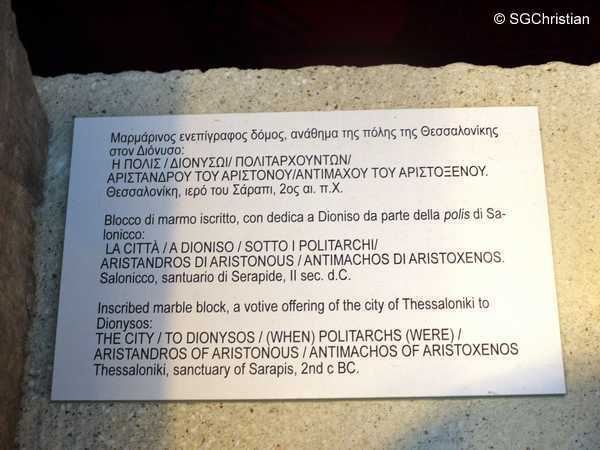 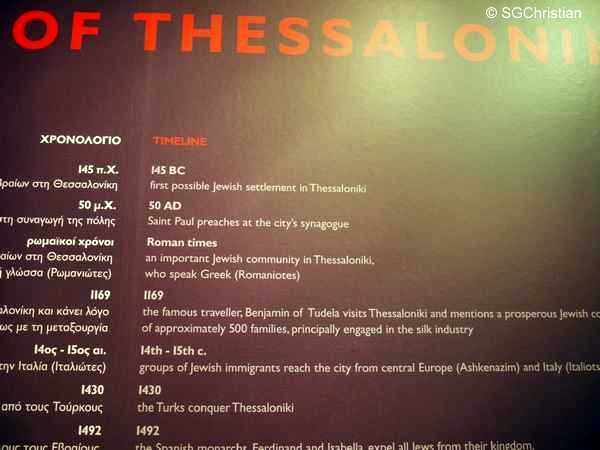 Where is Thessalonica? 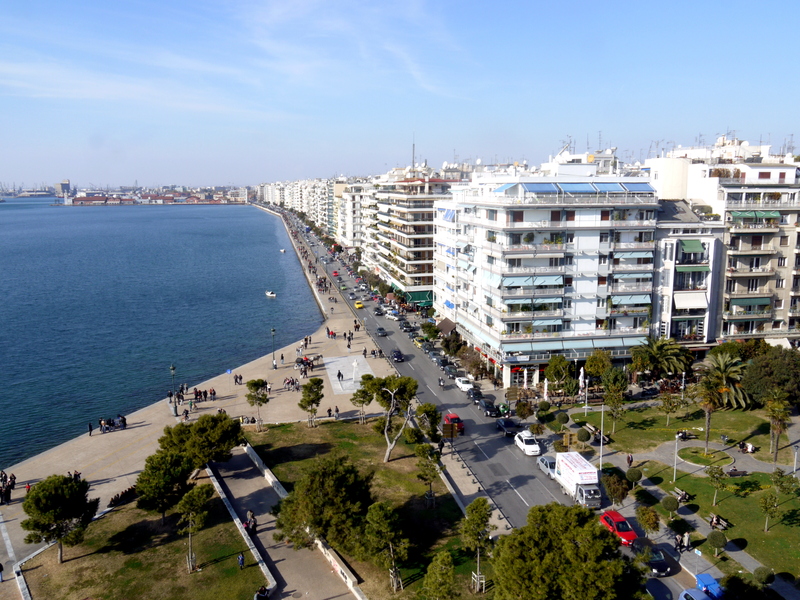 It is in Greece and is today known as Thessaloniki. 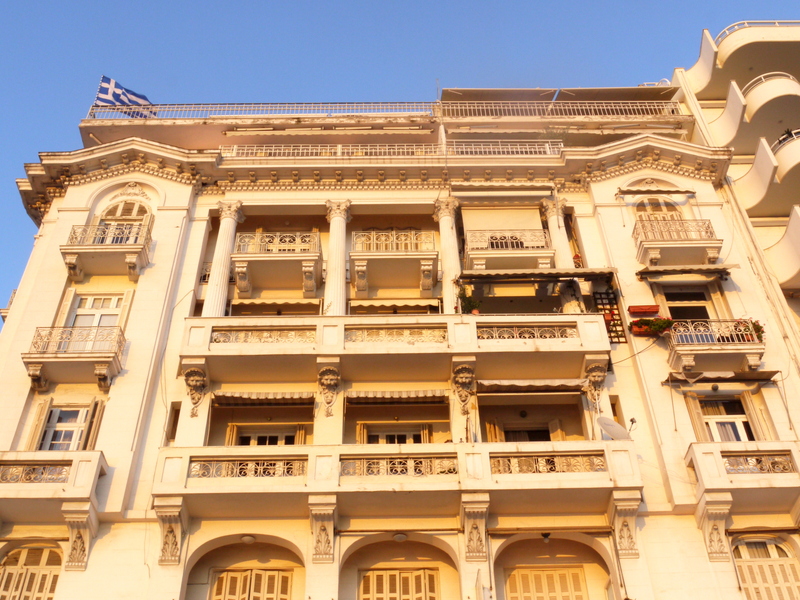 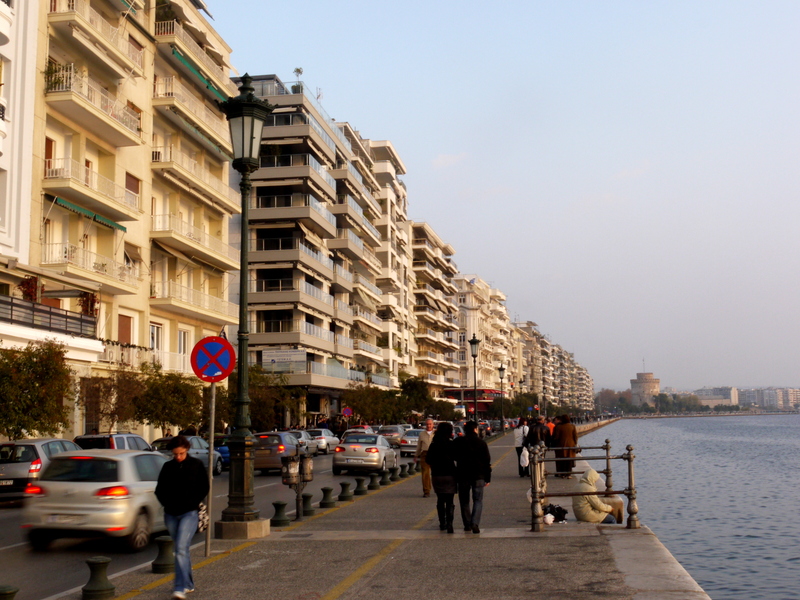 Specifically, with regards to its location, Thessaloniki is in the north of Greece, while Athens is in the south. 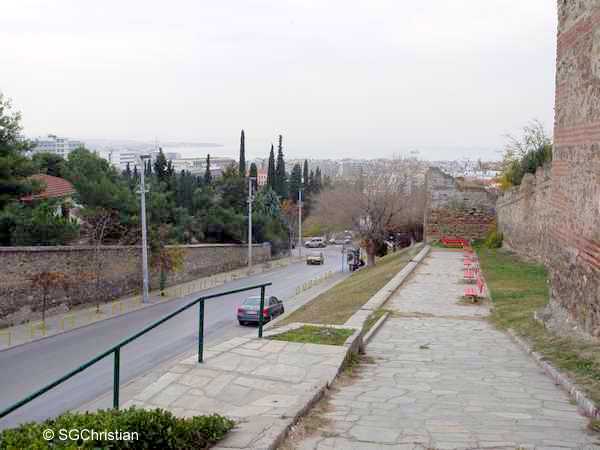 In 1 Thessalonians 3:1-2, we read: “So when we could stand it no longer, we thought it best to be left by ourselves in Athens. 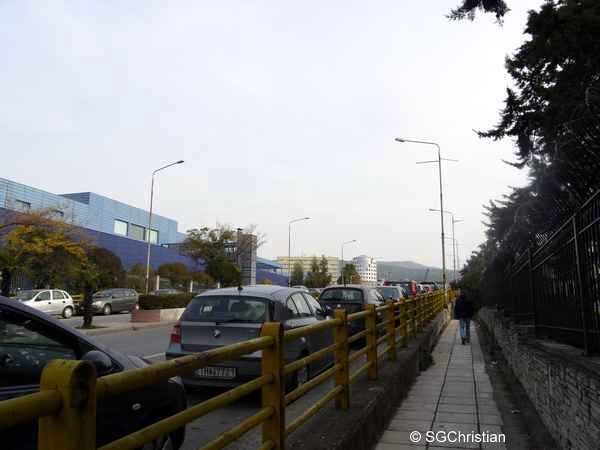 We sent Timothy, who is our brother and co-worker in God’s service in spreading the gospel of Christ, to strengthen and encourage you in your faith” (NIV). 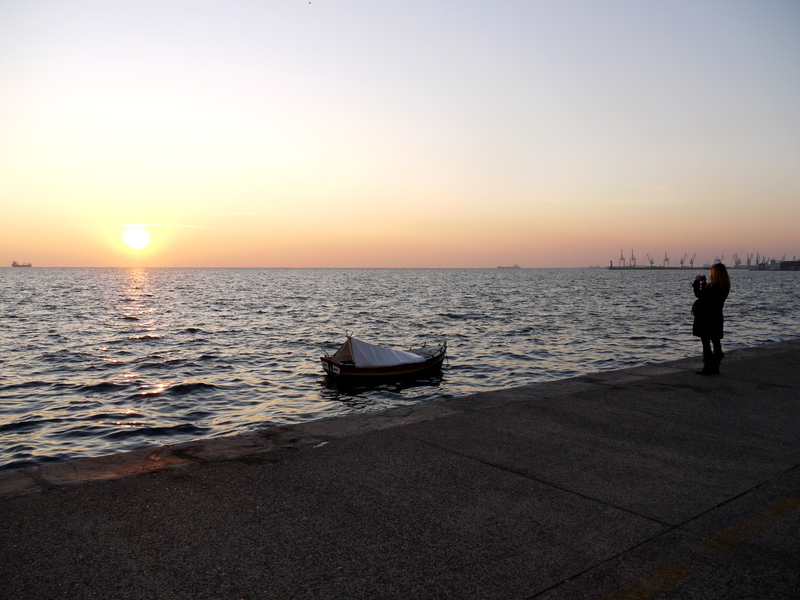 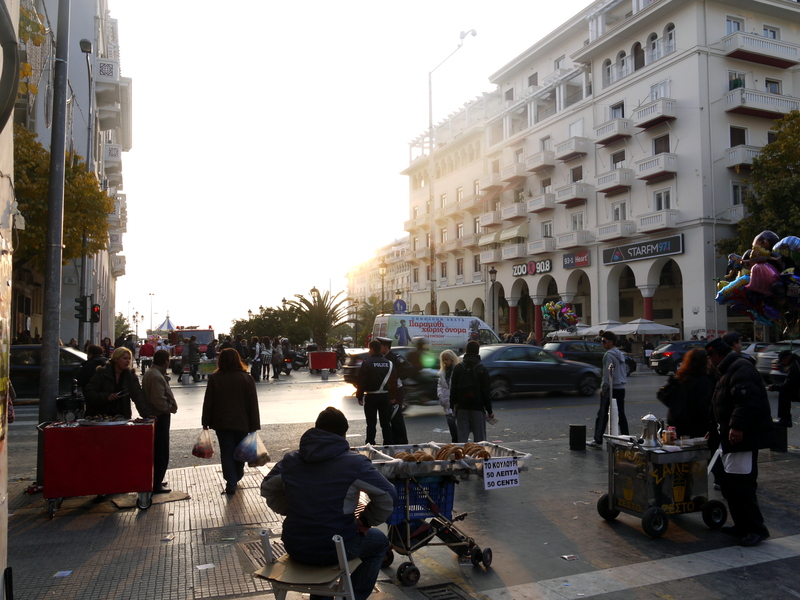 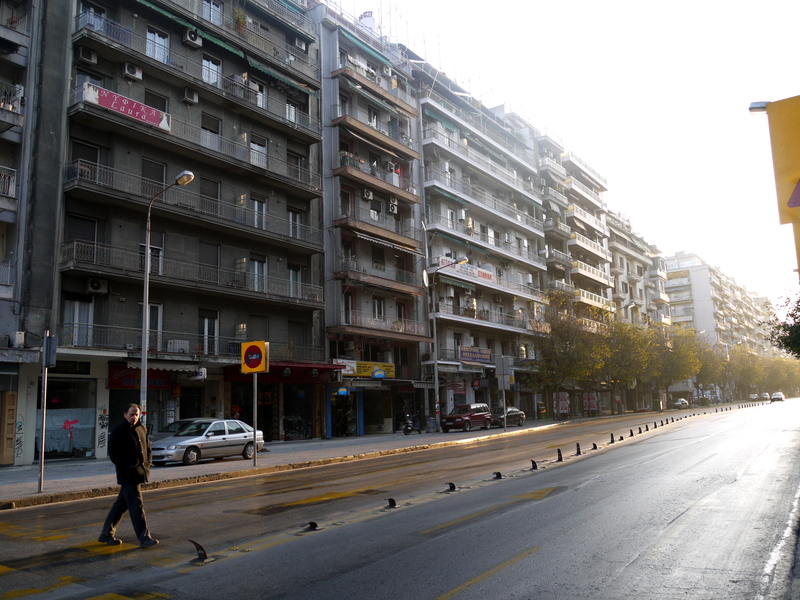 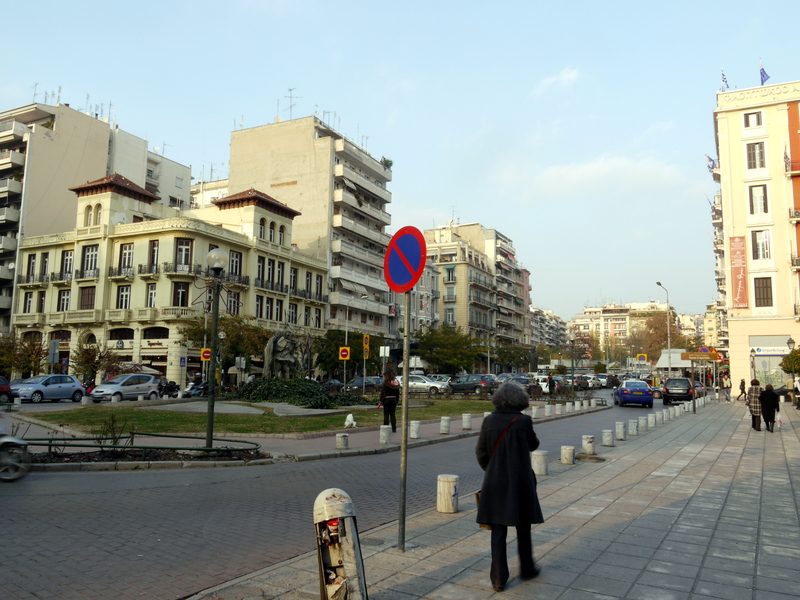 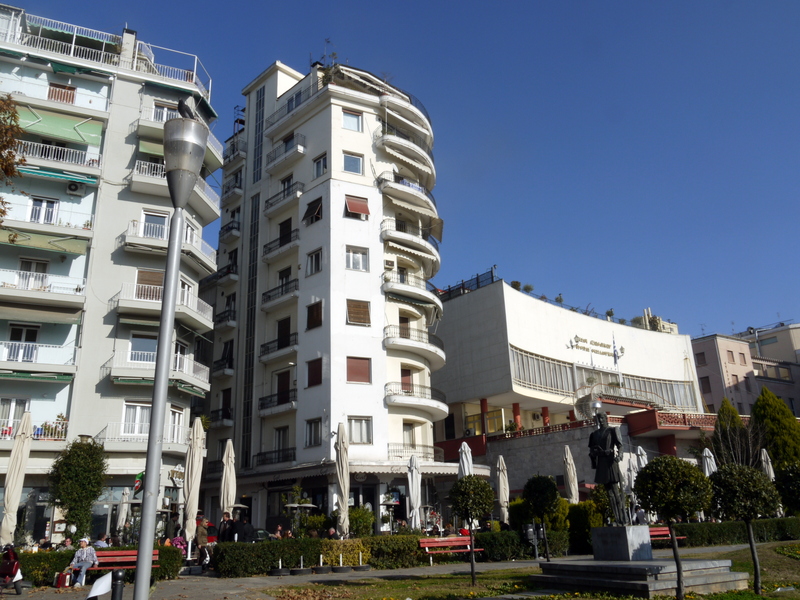 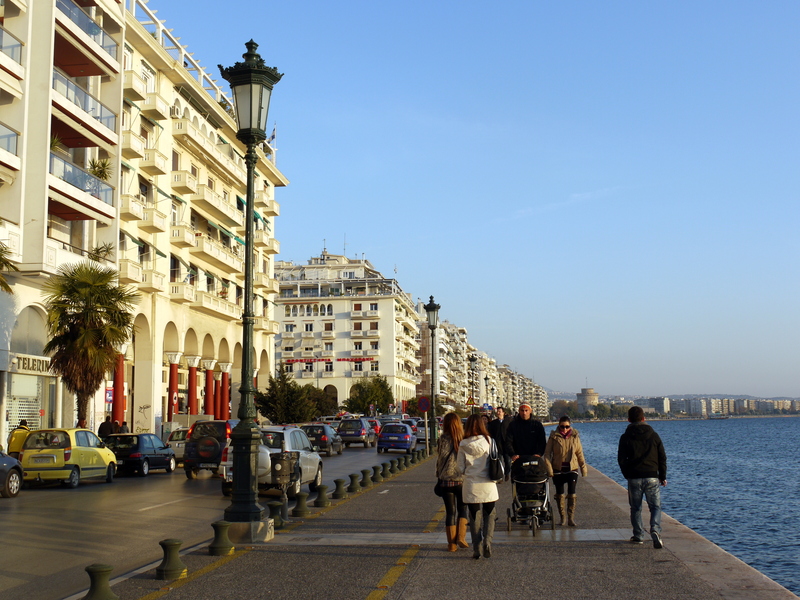 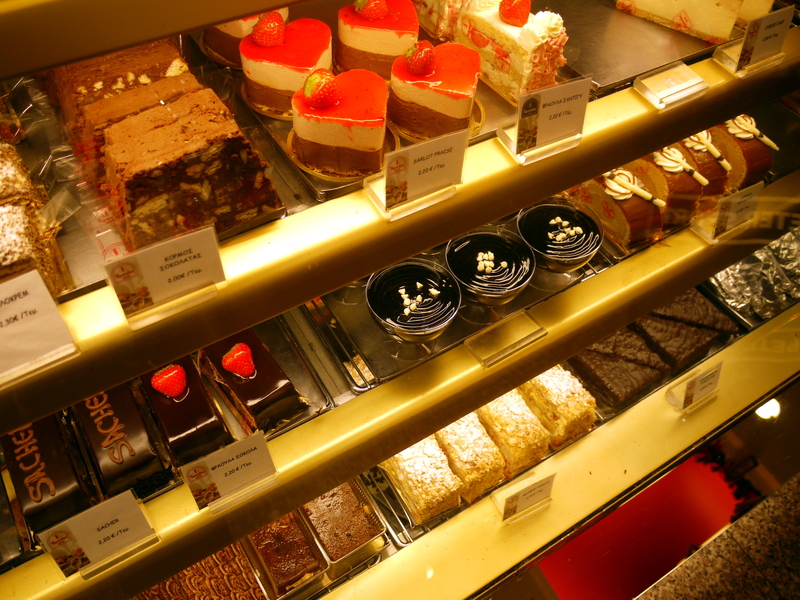 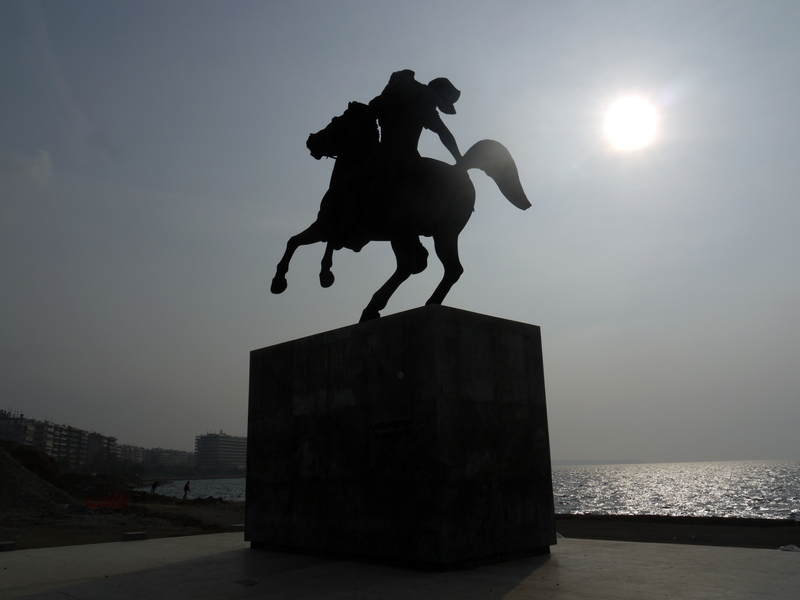 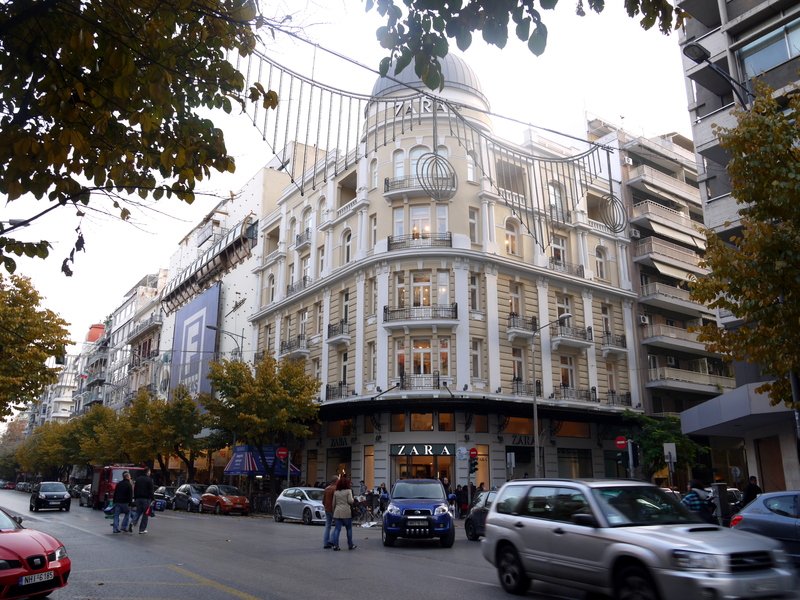 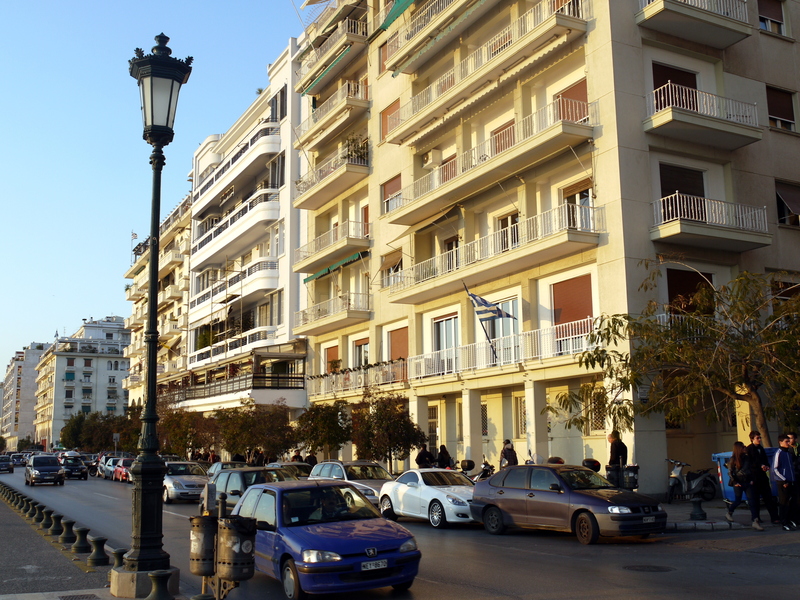 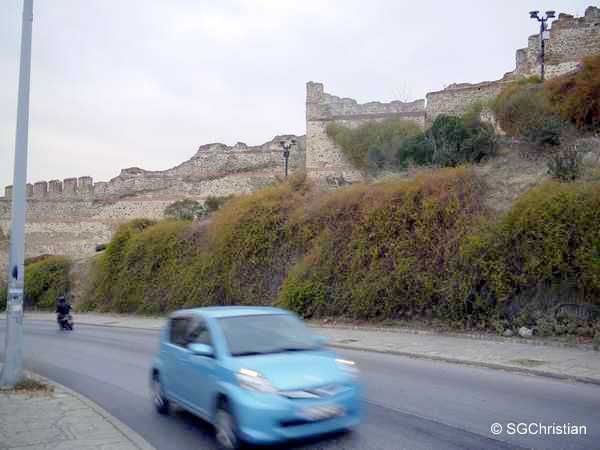 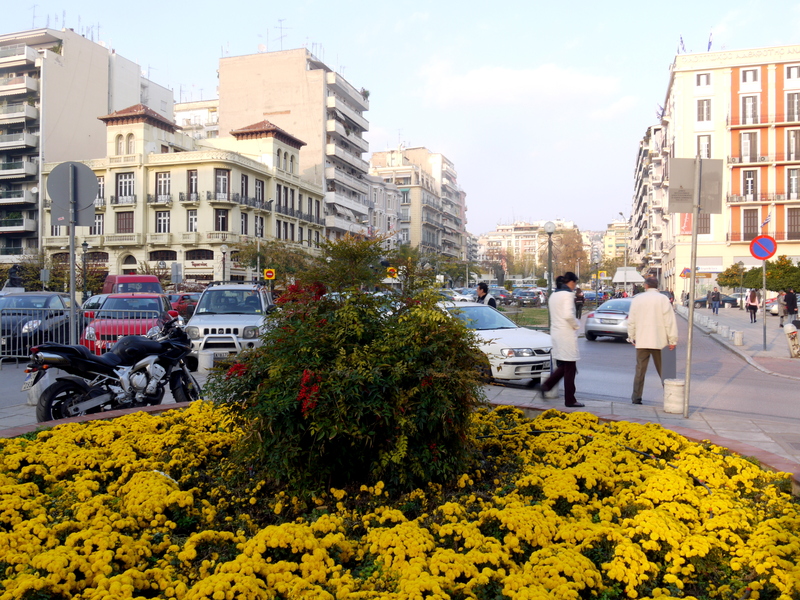 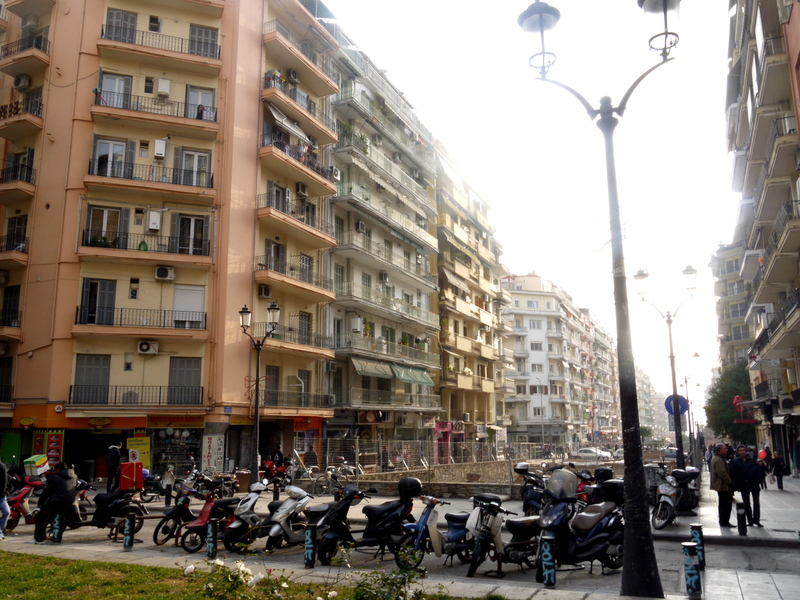 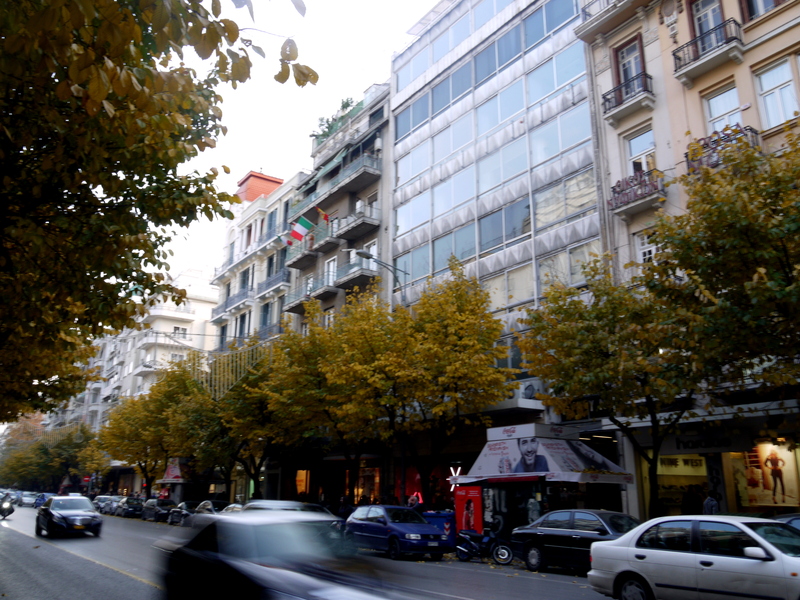 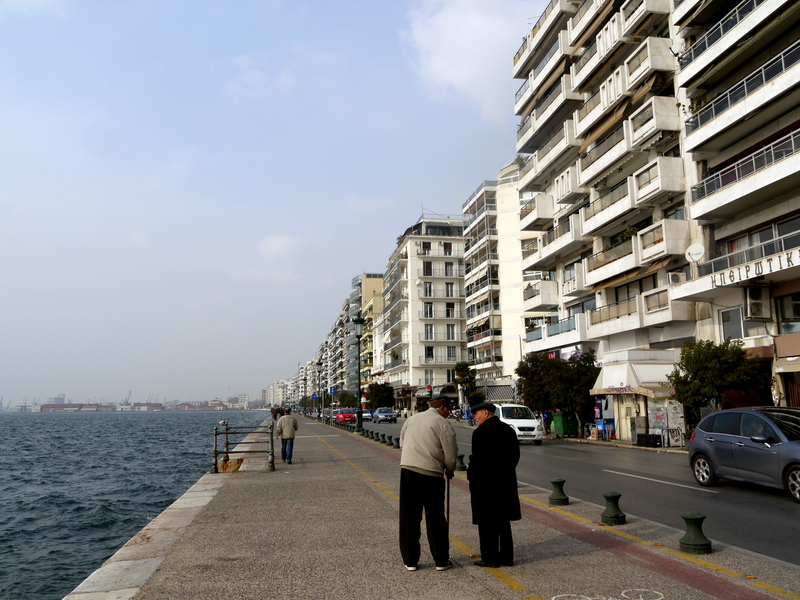 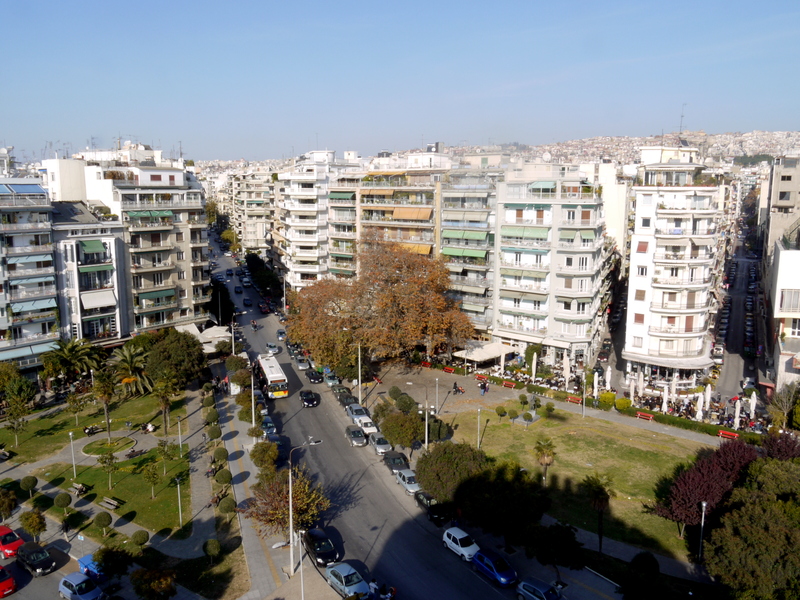 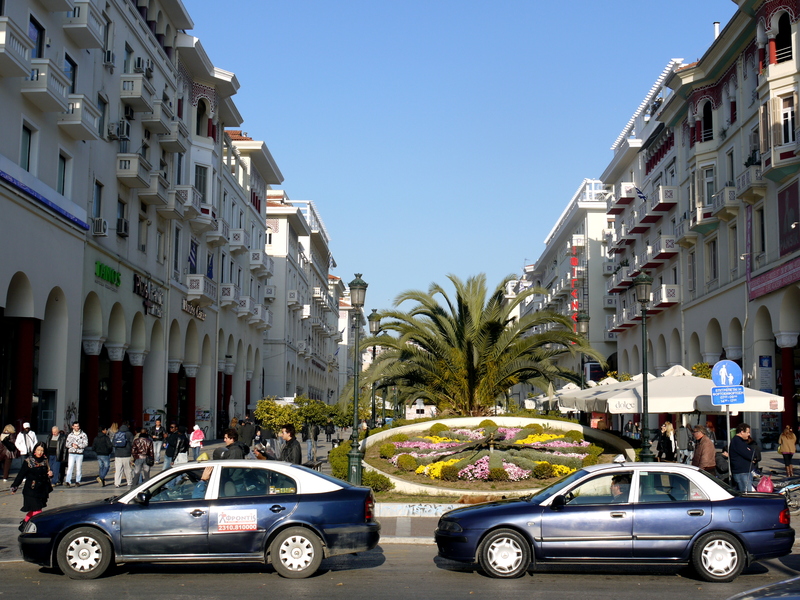 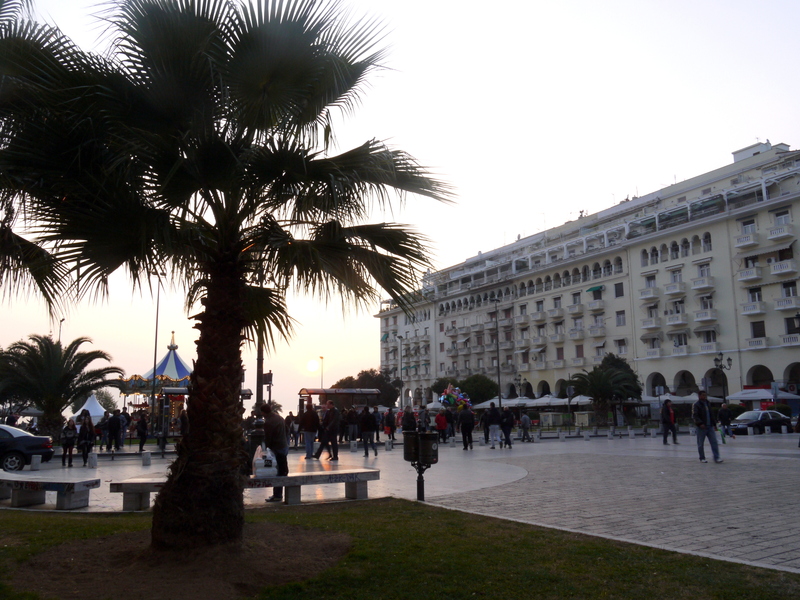 I visited Thessaloniki in November 2011 and it took me a good 50-minute plane ride to reach Thessaloniki from Athens. 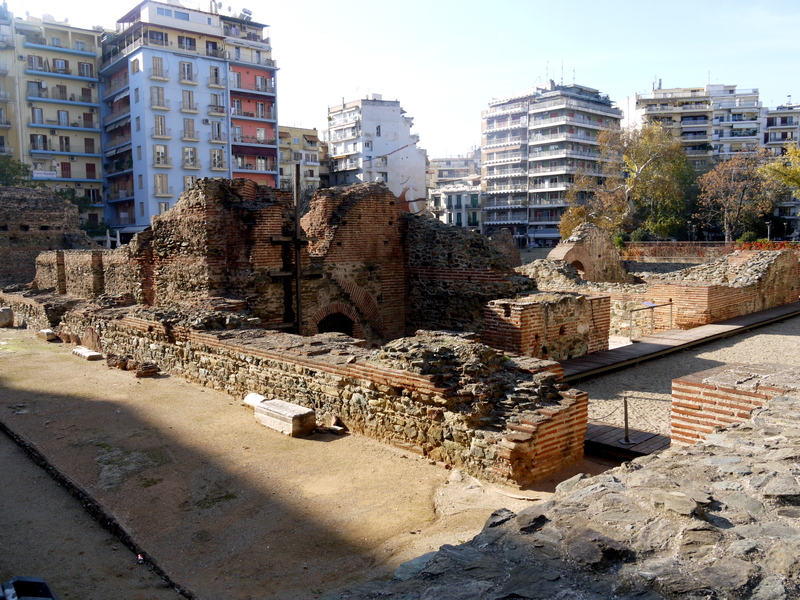 Considering the length of my plane journey, it is understandable that distance would have been the primary reason that the Apostle Paul could not personally keep in touch with the Thessalonian church as much as he would have liked to. 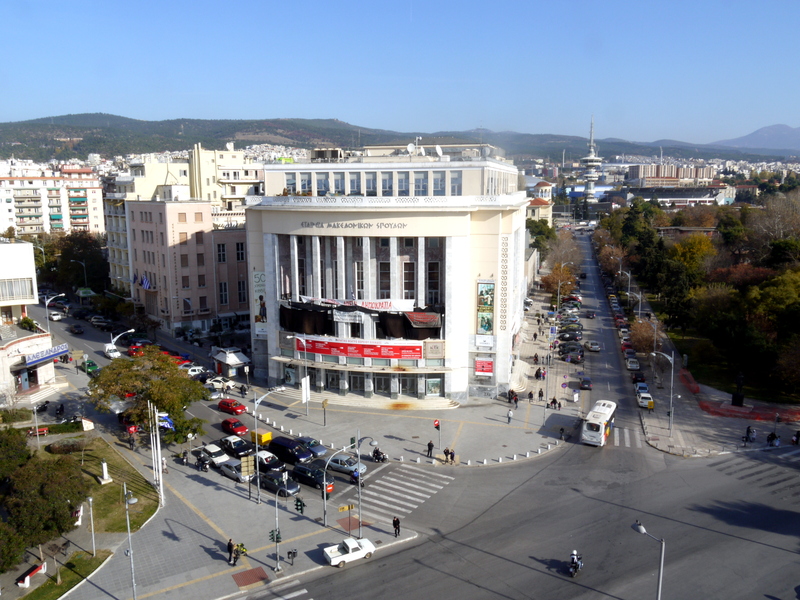 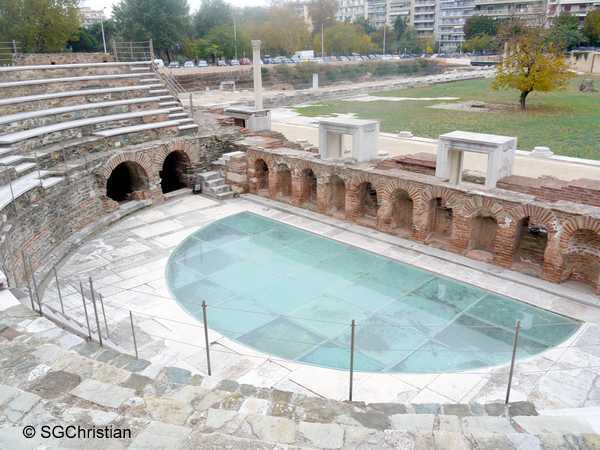 One of the first Christian communities in European soil was established in Thessaloniki and according to Wikipedia, the “Rotunda is the oldest of Thessaloniki’s churches“. 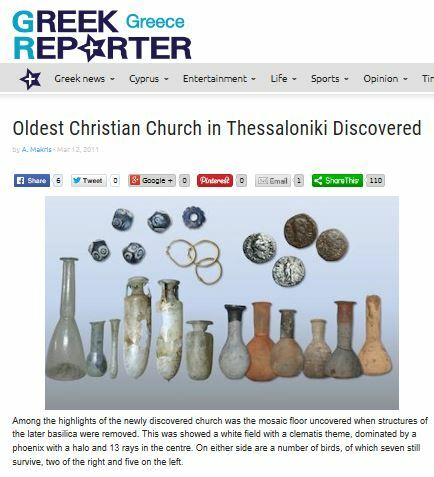 Wikipedia also notes that “some Greek publications claim it is the oldest Christian church in the world, although there are competitors for that title“. 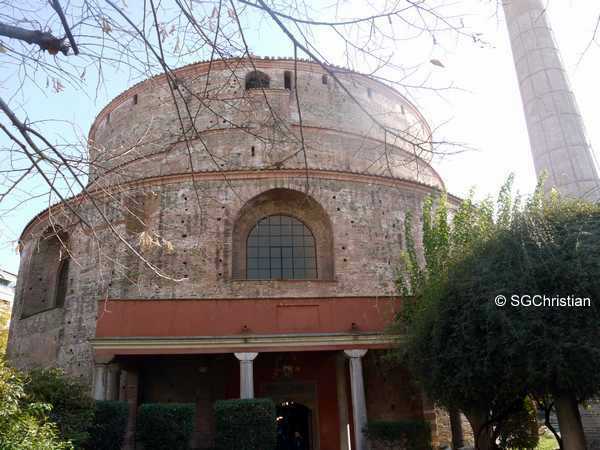 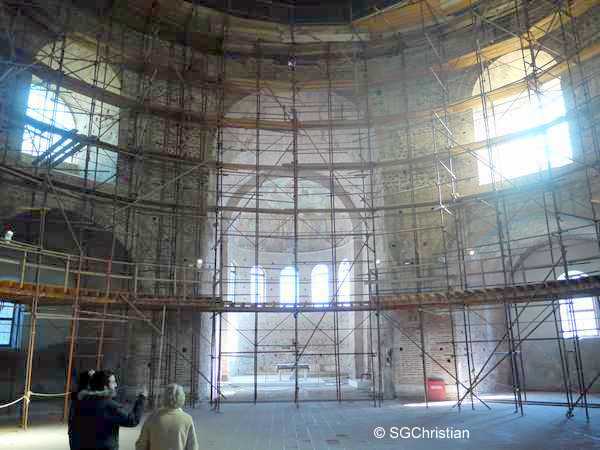 I am in doubt over Wikipedia’s claim of the Rotunda (also known as the Church of Agios Georgios) being the oldest church in Thessaloniki. 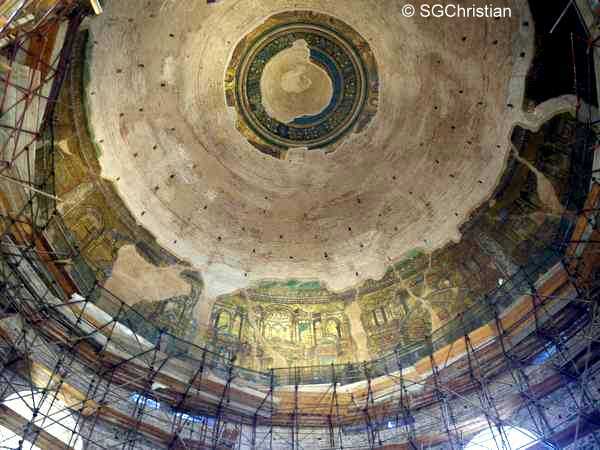 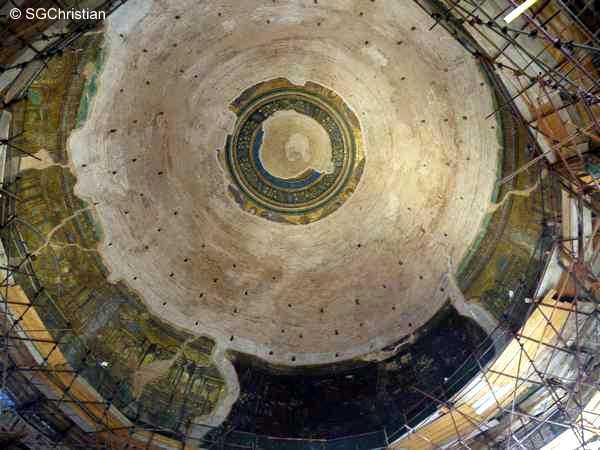 In particular, the Rotunda was formerly a pagan temple before it had been converted into a church, and perhaps if you also took into account the number of years that the building had pre-existed as a pagan temple, then yes, the Rotunda would be the “oldest” church. 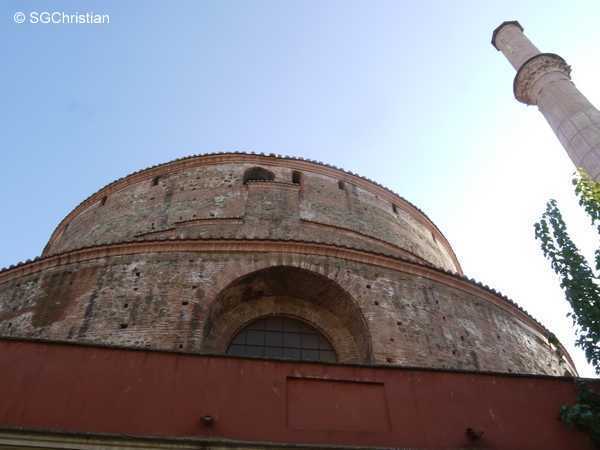 The Rotunda is believed to have been built in 306 A.D. by the Romans. 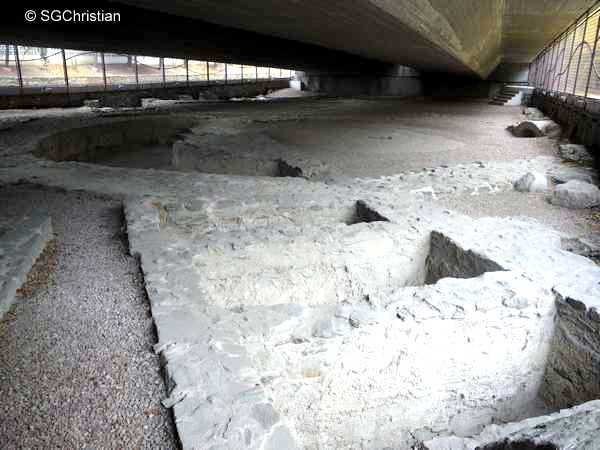 The ruins of this church was discovered during the construction of a metro and the site was not open to the public when I visited. 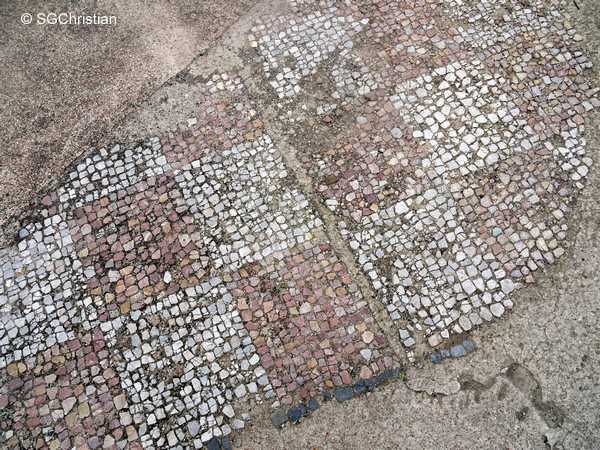 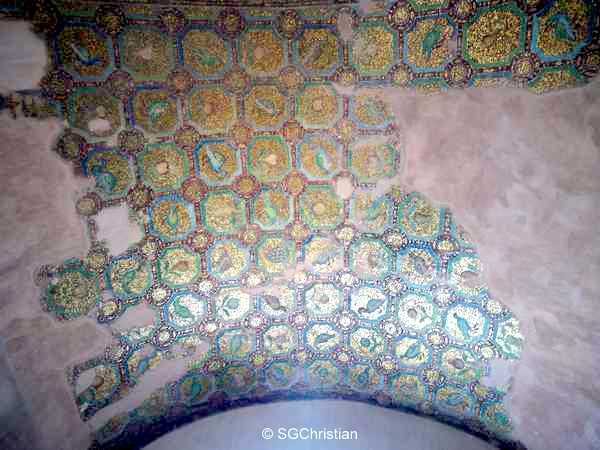 Based on the pattern of floor mosaic discovered at the site, the church is believed to have been built sometime toward the end of the 4th and start of the 5th centuries A.D.
At the time of writing this article, I could find no further information (in English) about this archaeological discovery. 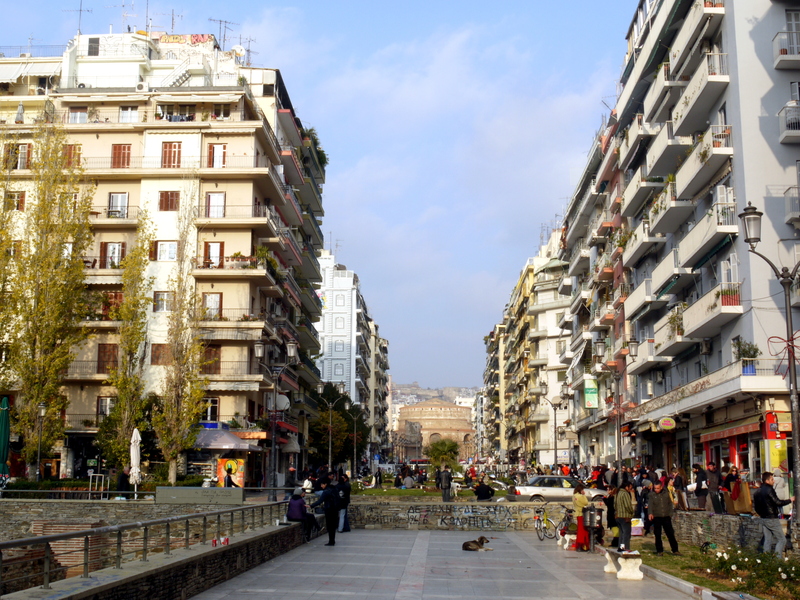 I had purchased the guidebook over Ebay, and on discovering that I had purchased the guidebook directly from Panou, I wrote to him to ask some questions concerning Thessaloniki, and he was most helpful. 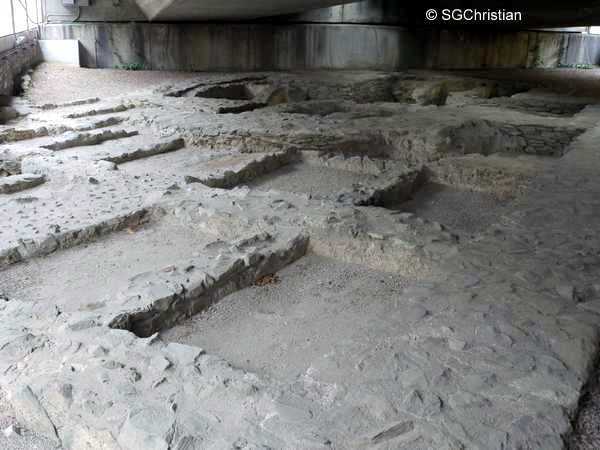 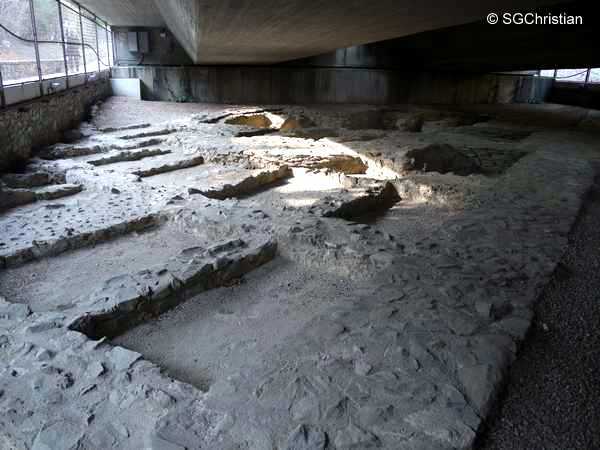 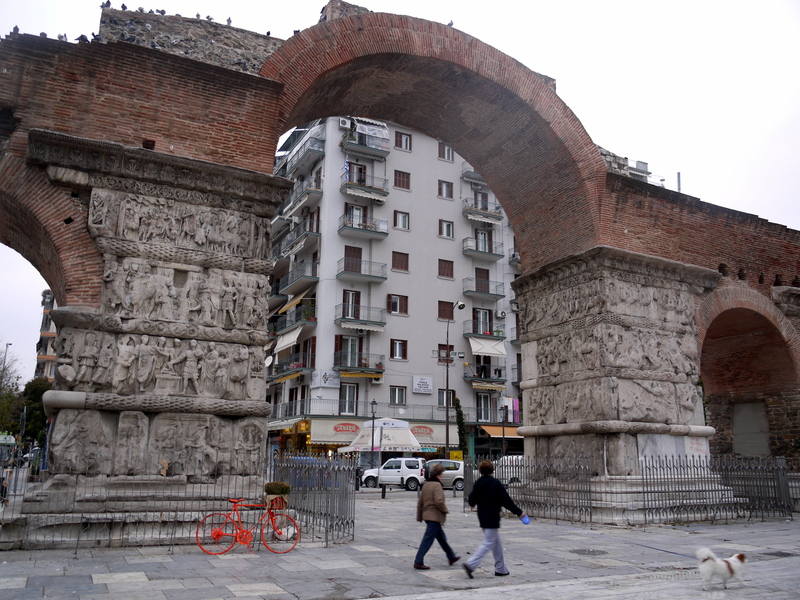 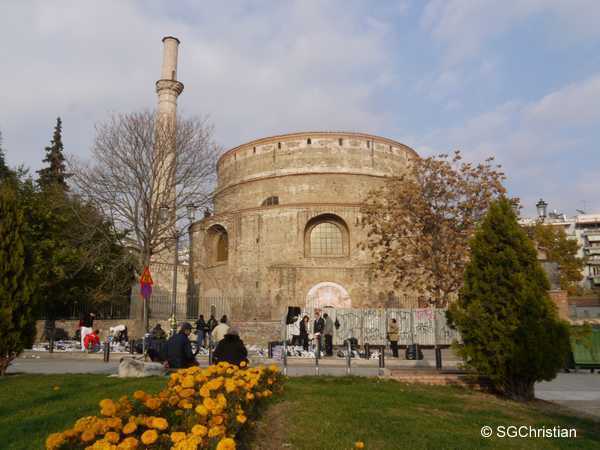 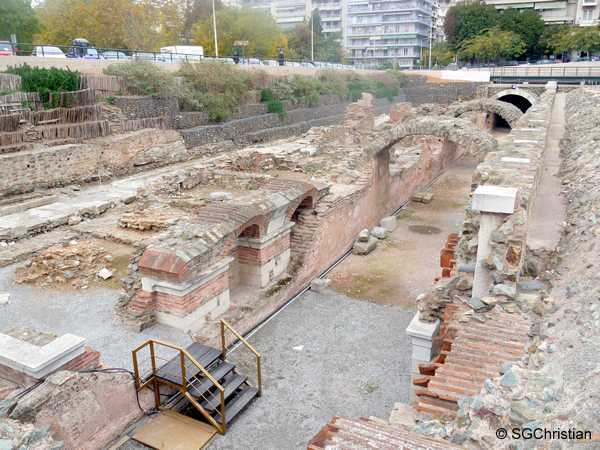 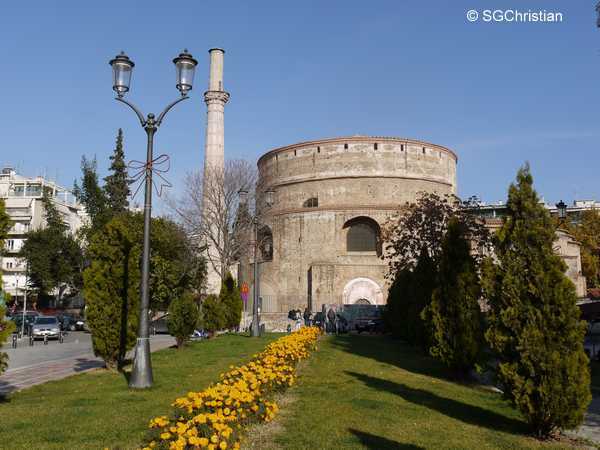 In the guidebook, it is stated that the “oldest” basilica (a 4th century one) ever found in Thessaloniki is situated beneath Tritis Septemvriou Avenue. 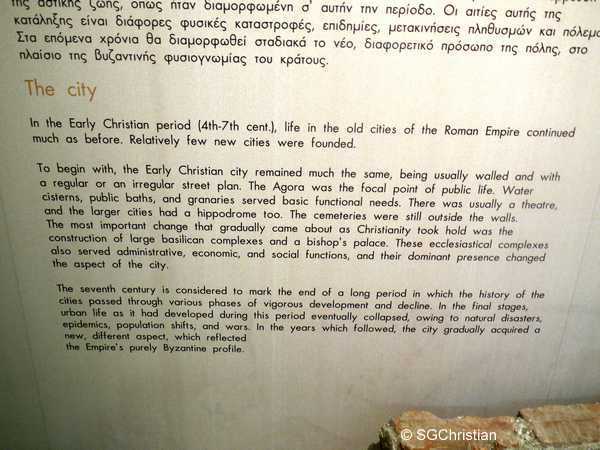 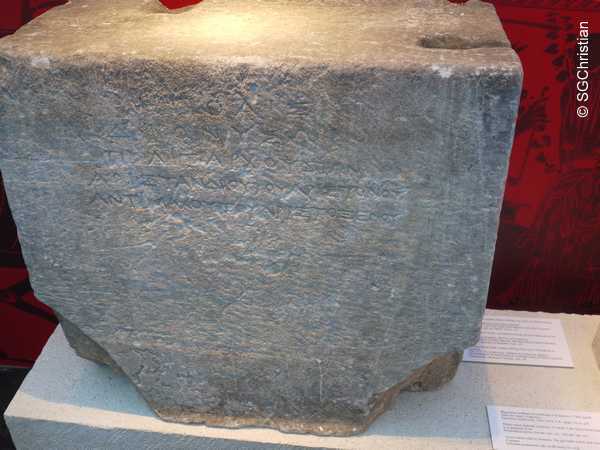 However, that information was correct as at the time of the publication of the guidebook (in early 2011), and in writing to Panou in 2011, he conceded that it was probably made outdated by the finding reported in the Greek Reporter newspaper. 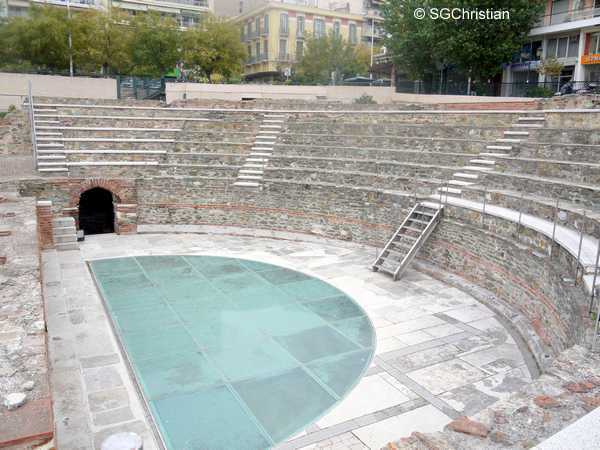 However, going back to the question of whether the church of the Thessalonians (the very one which the Apostle Paul had written to in his letters) still exists, sadly, I think the answer seems to be ‘no’, and I am not aware of any existing fellowship in Thessaloniki that has claimed to be a continuation of the one associated with the Apostle Paul. 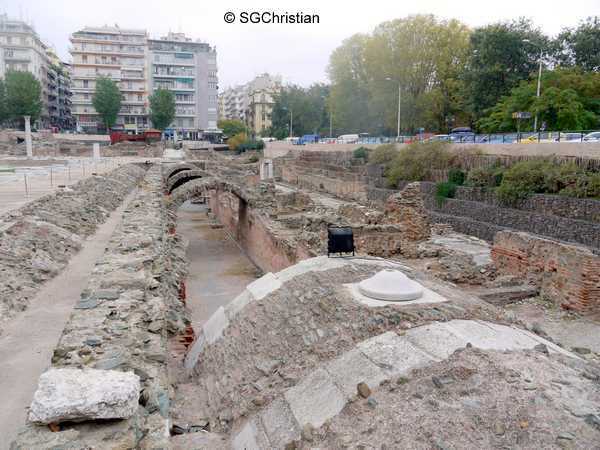 Nonetheless, there exists very old church ruins in Thessaloniki (dating as far back as 4th century A.D.) — for example, one situated beneath Tritis Septemvriou Avenue, and another reported by the Greek Reporter newspaper — and perhaps either of these (or even all of them) may have had a connection with the Apostle Paul. 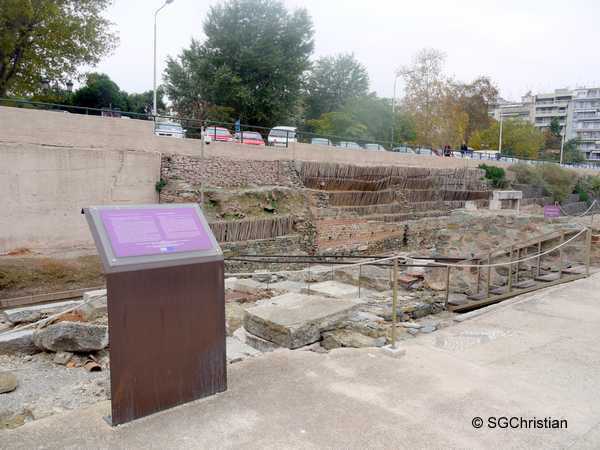 During my trip to Thessaloniki, I managed to locate the one situated beneath Tritis Septemvriou Avenue. 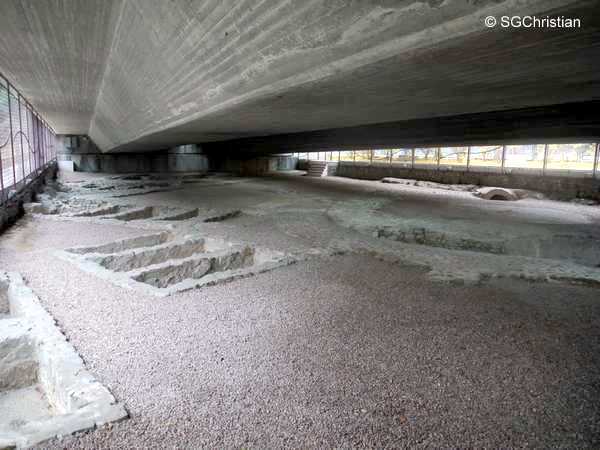 It is actually rather inconspicuous; beneath a highway (so inconspicuous that I had difficulty finding it). 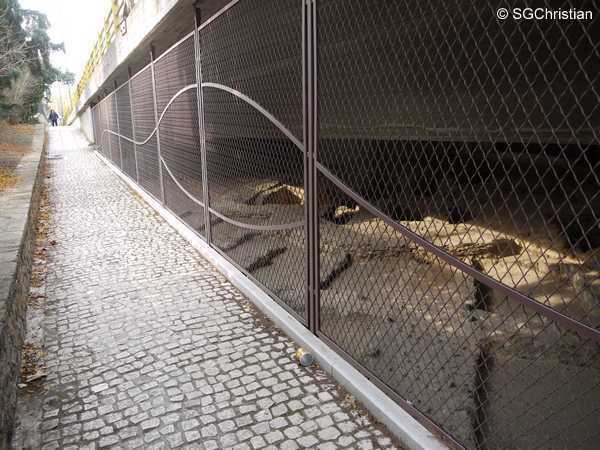 The site was enclosed by a wire fence, but could be accessed through a metal gate that was open on two occasions that I visited. 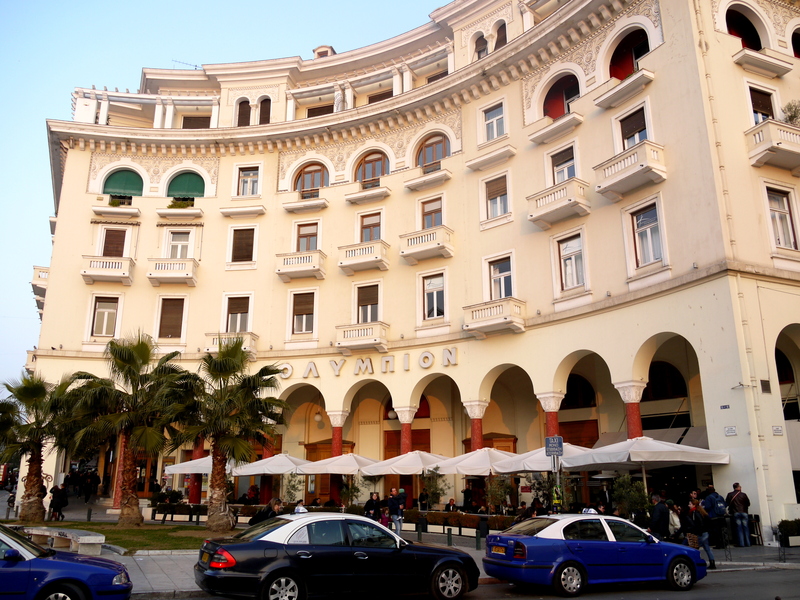 There was no security guarding the place, and I didn’t have to pay anything to get in. 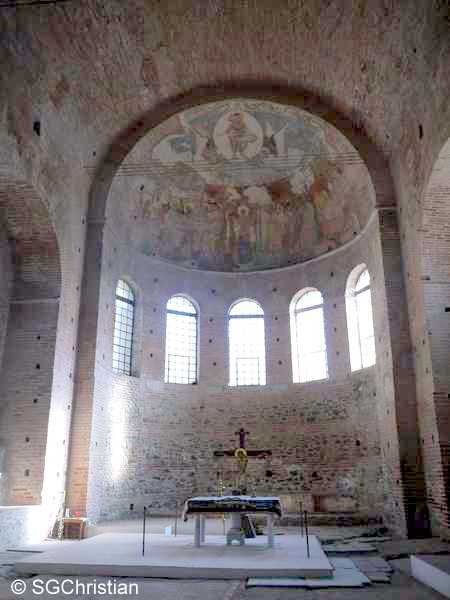 On both visits, there was nobody there but me — which was nice, because it allowed me to sit down, reflect, and just unhurriedly soak in the surroundings.